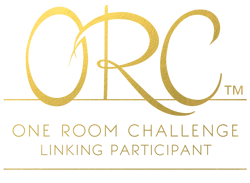 It’s time for another round of the One Room Challenge! Big thanks to Linda for hosting! For those of you who are new to the ORC, it's a fun challenge to transform a room in just 6-weeks! There are 20 official participants, but there's also a linking event on Thursdays that's open for everyone to join. 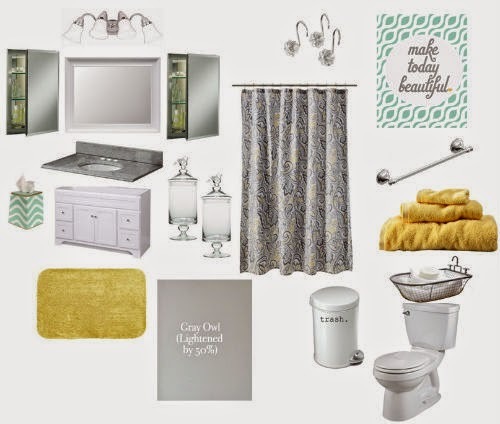 I had a hard time choosing a room this time, but I ended up picking the master bathroom because it needs a makeover more than any other room in the house. I mean, it’s been missing a drawer for over 3 years! Plus I’ve been trying to get this makeover started for the past couple years, but just never got into it, so hopefully this will be the push I need to get it done! Let’s take a look at a few before pictures and a few pictures of its current state. This is the only picture I have the bathroom when I first moved in. I wish I had a better picture of the original wall color. I painted the bathroom when I first moved in (it was an ugly green color), but I never really liked the shade of gray that I picked. I wanted a gray-gray, but it ended up being a bluish-gray. So, my plan is to repaint the room another shade of gray. 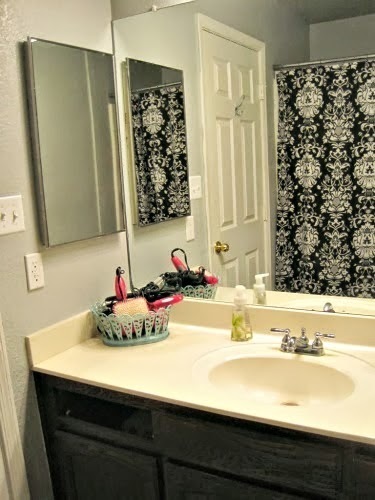 I’m also going to paint the vanity white once I replace the missing drawer. Plus I’m going to replace the countertop and frame the large mirror. Luckily a lot of the other bathroom items have already been updated. Shortly after closing on the house my dad replaced the faucet, light fixture, showerhead, and toilet for me. He also helped me add the toilet paper holder. 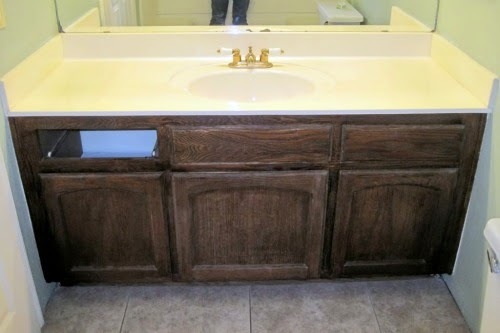 A few months later I added the towel bar and replaced the baseboards. So once I finish those big items listed above, the rest is mostly just details and accessories. 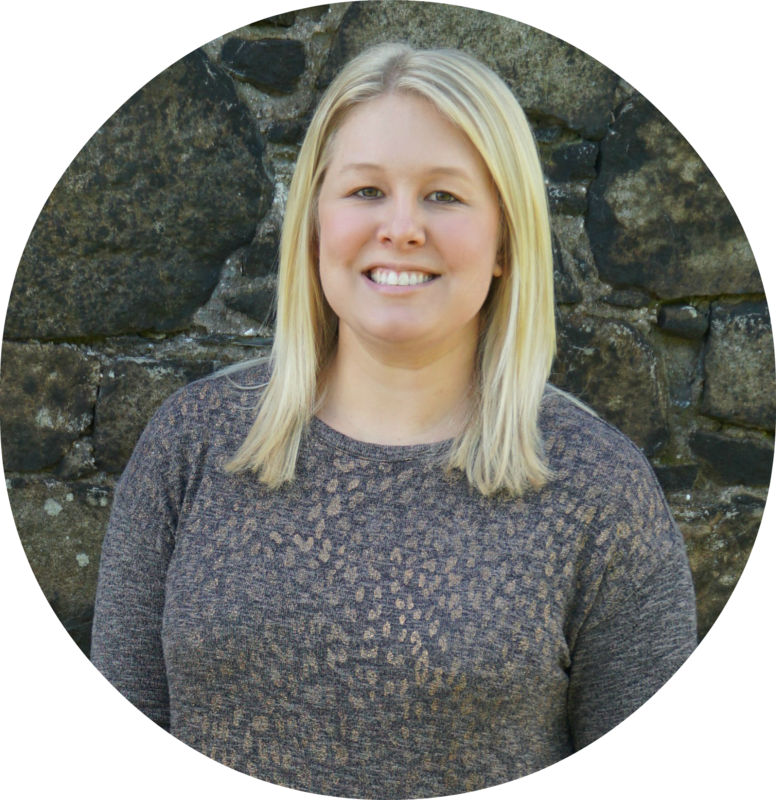 Don't forget to stop by the link party and check out the other participants! Already so much improvement since moving in, but your plan will create such a pretty, serene, spa-like space! completely LOVE!! 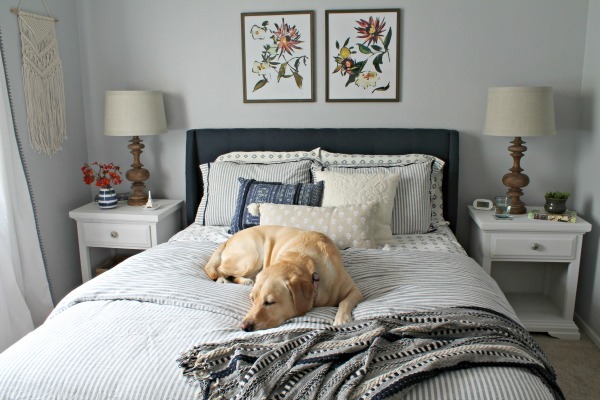 this will be such a relaxing and calm space....love the color palette, love the artwork, love it all. can't wait to follow along. xoxo. 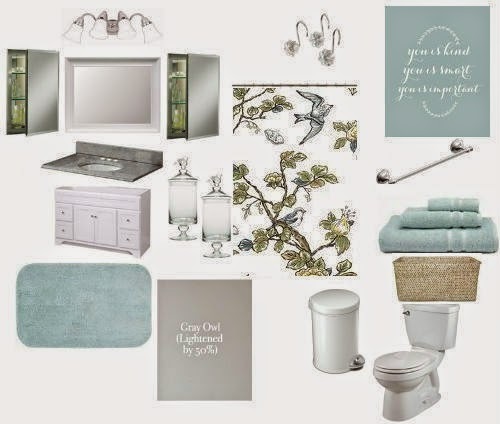 I love your Master Bathroom Mood Board! I'll be following along and can't wait to see everything come together. I'm participating for the first time and we're re-newing our media/bonus room with simple paint and new accessories! What a great mood board, I love the colors! 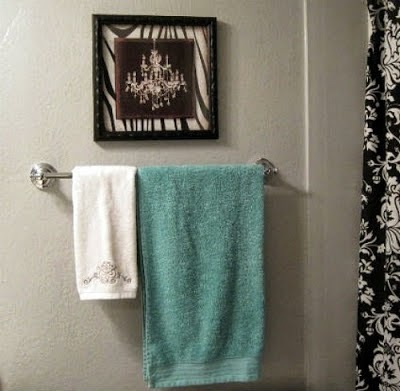 I have that shower curtain and I do love it even though I'm not using it in my house right now. I seem to have the same issue, I've redone our master bedroom 3 times now and still never really finish it or like it. Looking forward to seeing your bathroom come together!!!! 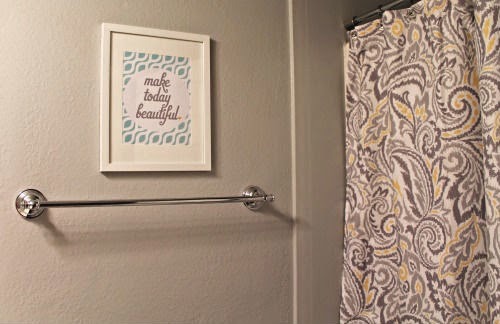 Can't wait to see what you do with your bathroom! I love the colors on the mood board you made. Love your inspiration, especially the blue! Excited to see it all come together and to be participating in ORC with you! Good luck!